Jam is a problematic food product for IBS sufferers, and for anyone looking to live a healthy lifestyle, as its first ingredient is almost always glucose-fructose syrup, and if it isn’t it will be somewhere along the line of ingredients. Of course, this is to be expected. 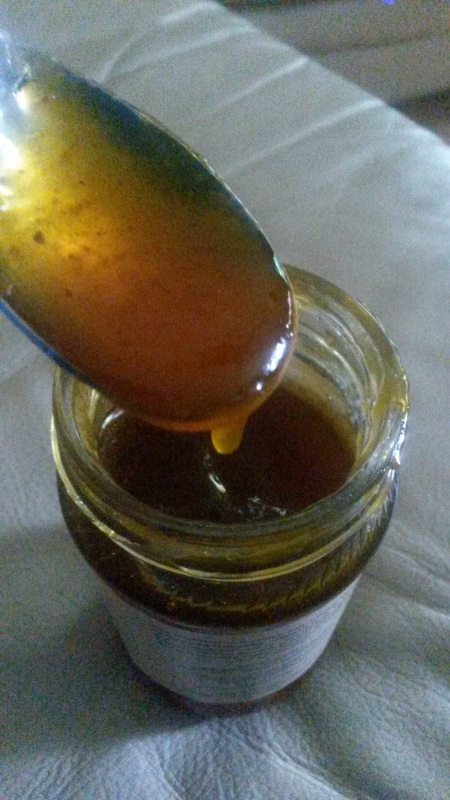 Jam is a sickly sweet preservative that’s preserved by the sheer amounts of sugar that makes it what it is. In fact, in a normal jar of jam, 60% of that is sugar. To put this into perspective, not even a gooey chocolate cake or a melt-in-the-mouth brownie has that kind of sugar content. So how do you have jam without consuming all that nasty sugar? Upon searching endlessly for reduced sugar jams, I couldn’t find any which weren’t pumped full of chemicals to compensate for the lower sugar levels, which affect my IBS just as bad as the sugar would. The only healthier type of jam I could find was by a pleasant independent London company called Erbology. These jams are recommended for diabetics as they are sweetened only with fruit sugar, and are also free of added colours, chemicals, wheat, gluten and dairy. 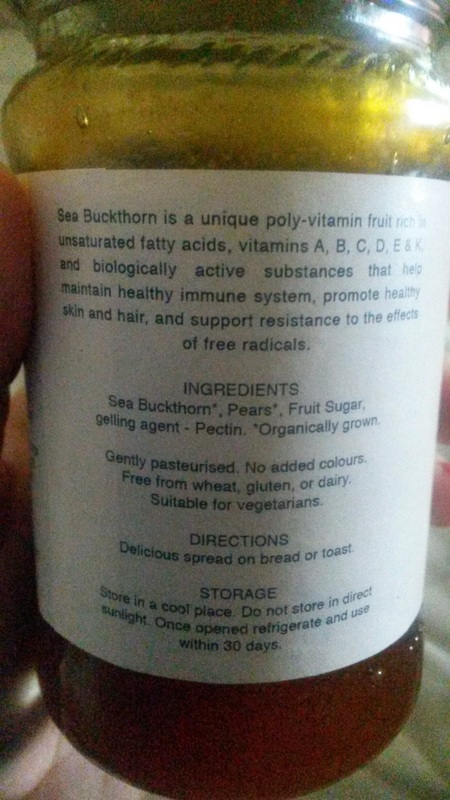 I tried their Sea Buckthorn spread which, having never tried buckthorn before, I was very surprised with how tasty it was. Not quite as rich as your traditional strawberry jam, buckthorn has a subtler taste and provides a runnier but ever more spreadable consistency. These jams are also packed full of good stuff like omega 3, 6, 7, 9, vitamins B1, B2, C, D E, K, folic acid, flavonoids, beta carotene and dietary minerals. Buckthorn is also known for its antioxidant properties which means it’s great for the immune and digestive system. Each jar contains only 3 ingredients – sea buckthorn, pears and fruit sugar. Compare this with your typical jar of strawberry jam, and even the posh versions, which contain up to ten ingredients including namely sugar, gelling agents and acidity regulators. On toast, in porridge, or even as a sweet dip, you really have to try it to be part of the fan club. Once you do, you’ll never have to worry about jam-related IBS problems anymore! What is superfood & which one is the best? This is the question arise in everyone’s mind who do not know about it. Here your post is the best answer to this query. There are few superfoods like Organic Spirulina Capsules, wheat grass, barley grass etc. Your post will motivate people to use it.